A 3 foot cement barrier and chain link fence is all that seperates this man from life and a certain death. 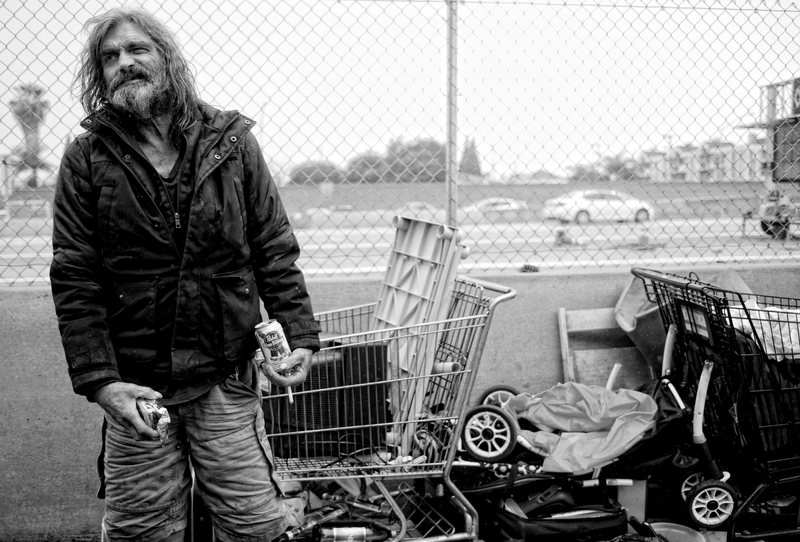 For the past 4 months, Aldrich has lived on the side of the 405 freeway. Tens of thousands of unsuspecting motorists pass him each day. 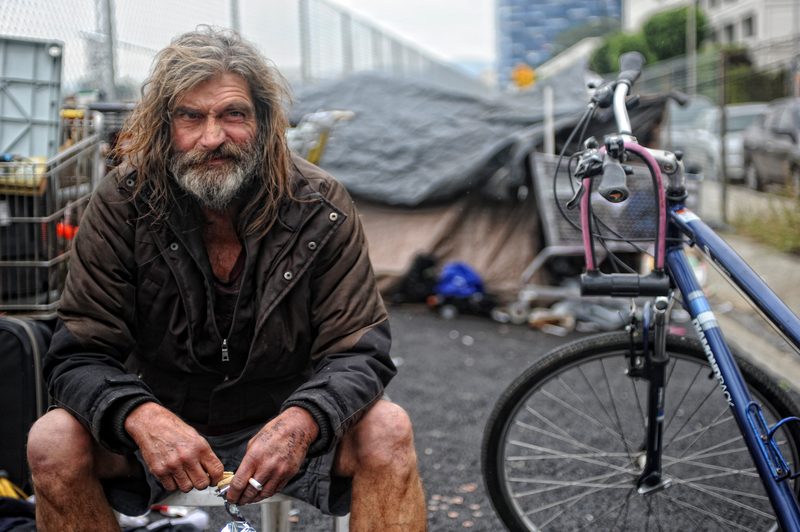 He lives in a makeshift home made up of various boxes and plastic tarps. He blesses each new day and our country. He is a Veteran. He is proud of The United States of America. 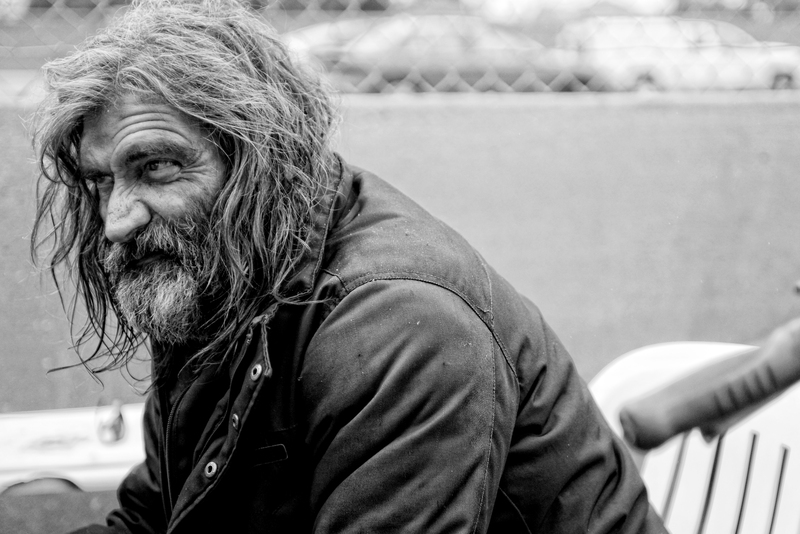 His dream is to find a one bedroom apartment and saves any money earned for that purpose. He offers his service to anyone accepting. He also holds his sign asking for donations and food. 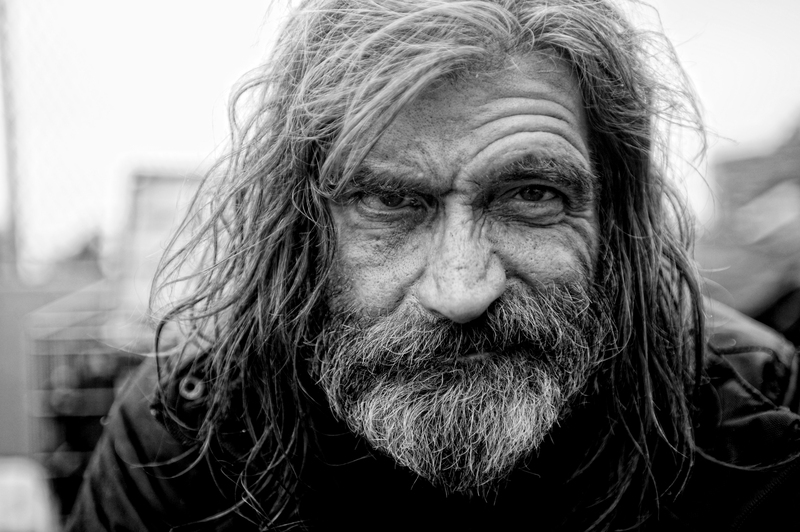 Time on the streets….20 years. 16 Dec	This entry was published on December 16, 2014 at 12:02 pm. 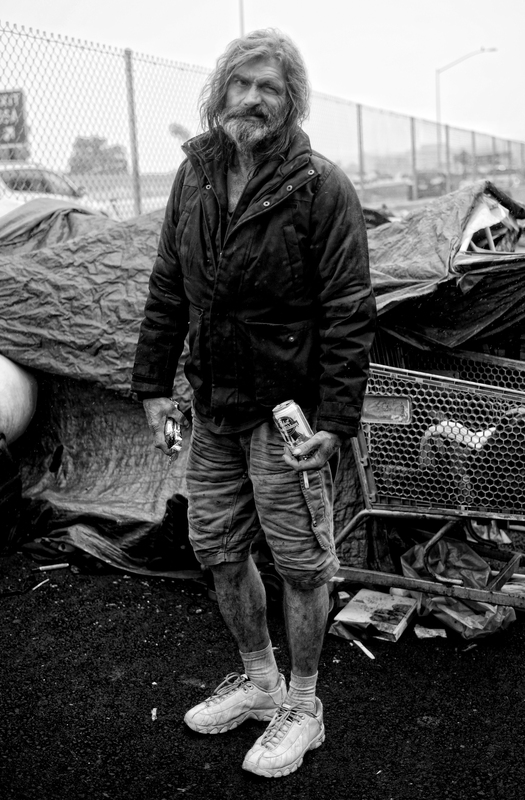 It’s filed under Portraits and tagged Black and White, Blanket, Gratitude, Homeless, Hope, Los Angeles, Portrait, Veteran. Bookmark the permalink. Follow any comments here with the RSS feed for this post.